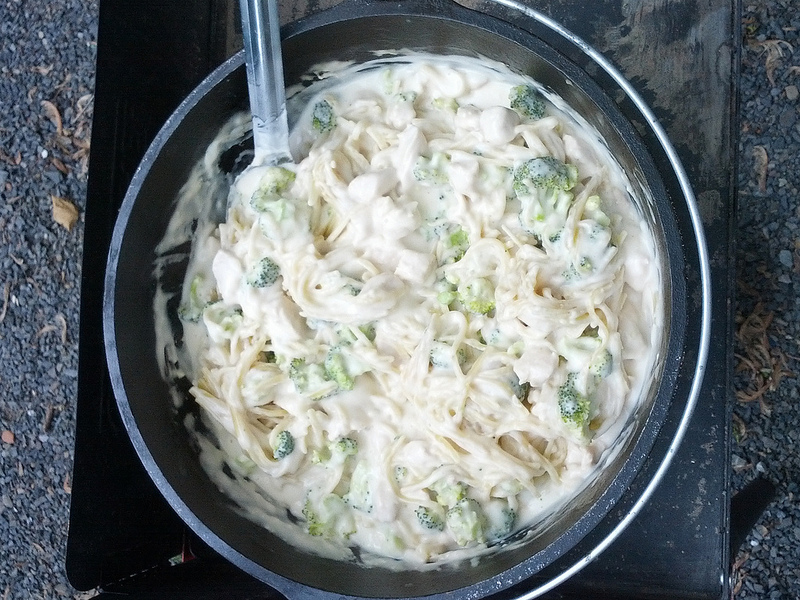 In 12 inch Dutch oven pour 1 jar of alfredo sauce. Chop chicken into cubes, and place in oven. Use 7 coals under and 16 coals on top. 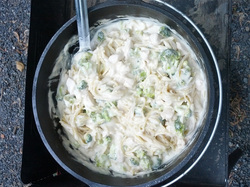 Add chopped broccoli, and linguini noodles (break noodles into thirds). Cover with remaining 3 jars of sauce. Make sure all noodles are covered, and continue cooking for 30 to 40 minutes. Rotate and stir every 10 to 12 minutes, keeping noodles covered.